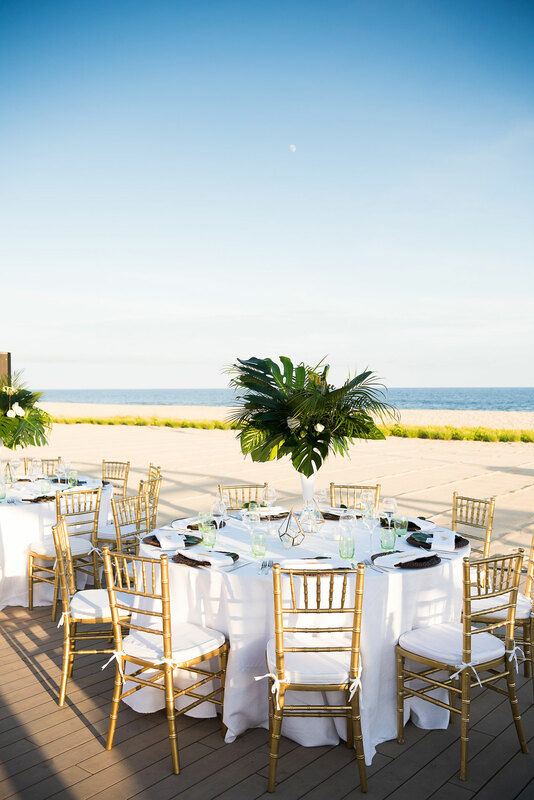 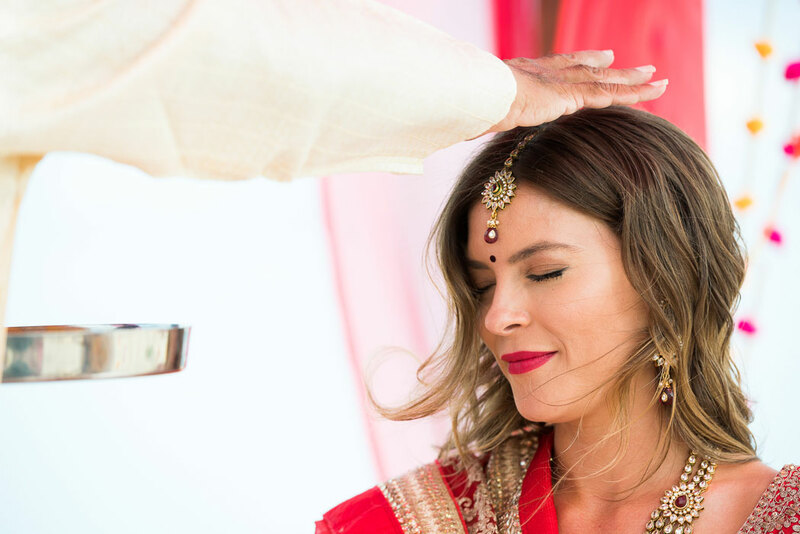 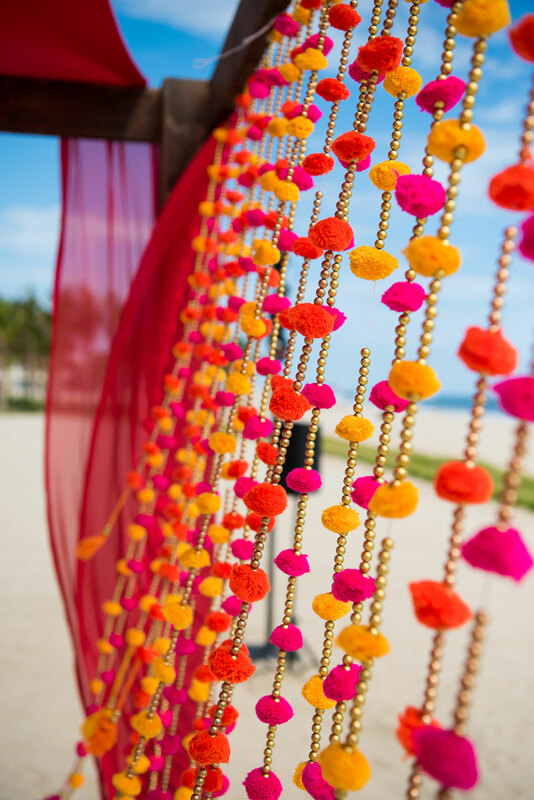 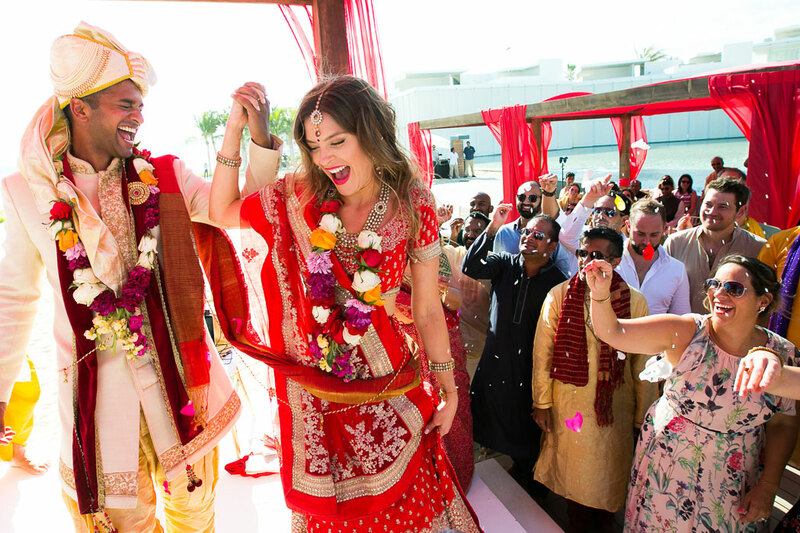 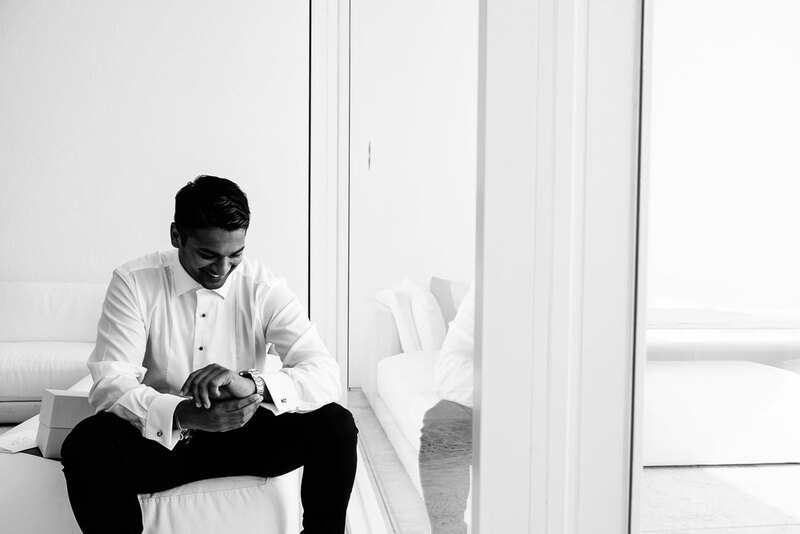 Imagine the contrast of a traditional American wedding celebration and a Hindu wedding celebration. 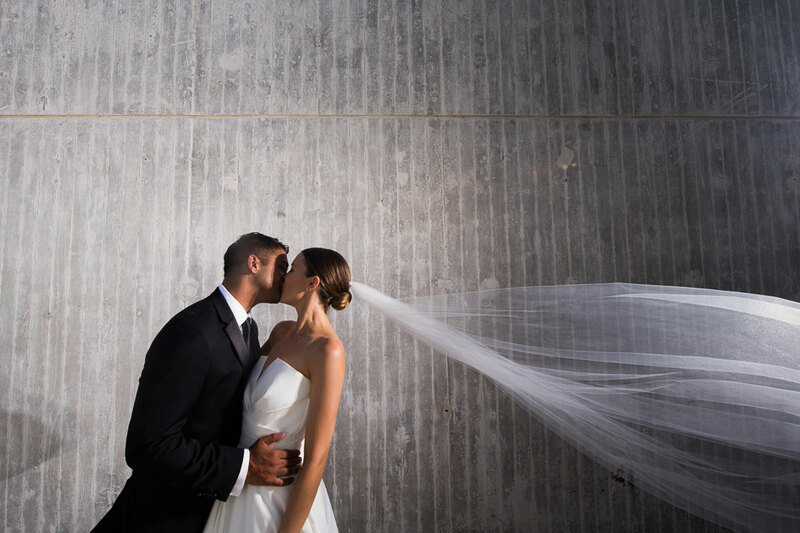 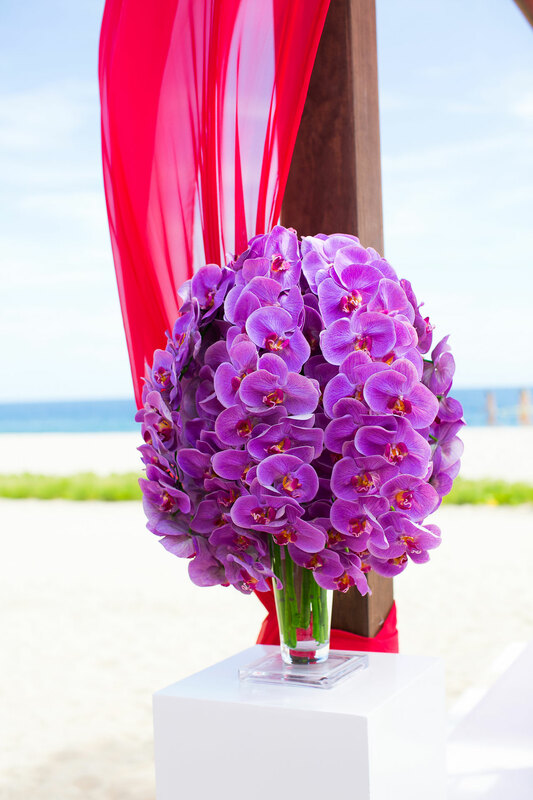 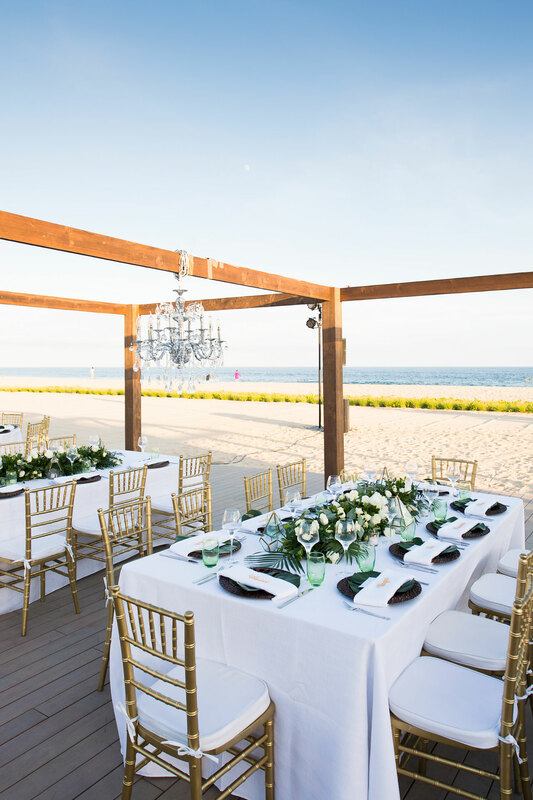 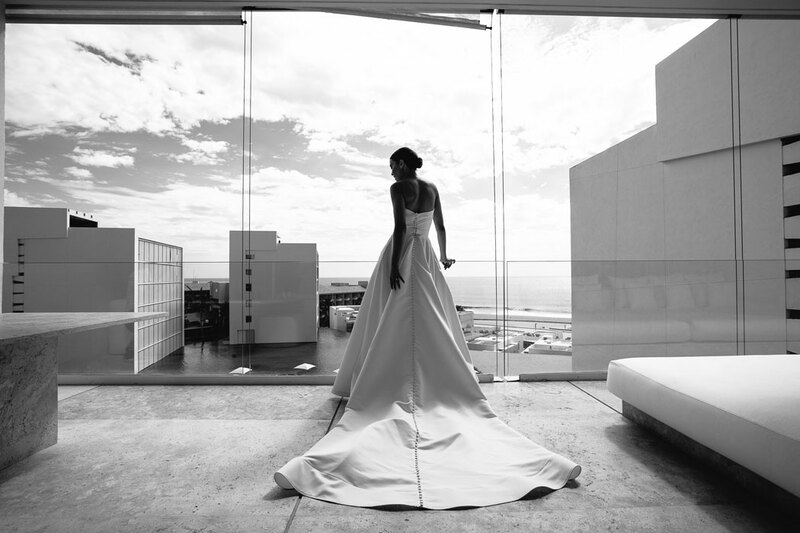 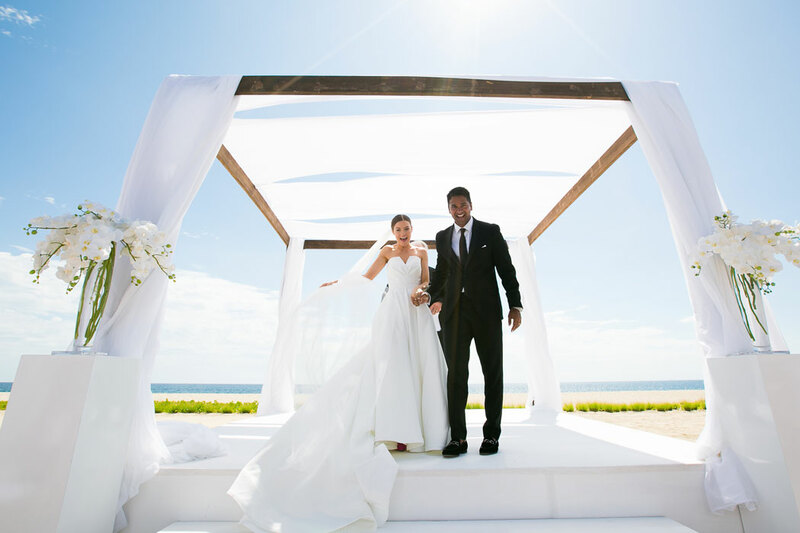 This couple had one of each, complete with two dresses and makeup styles, two different decor setups and all the traditions in between, set at the beautiful Viceroy resort on the Cabo Corridor. 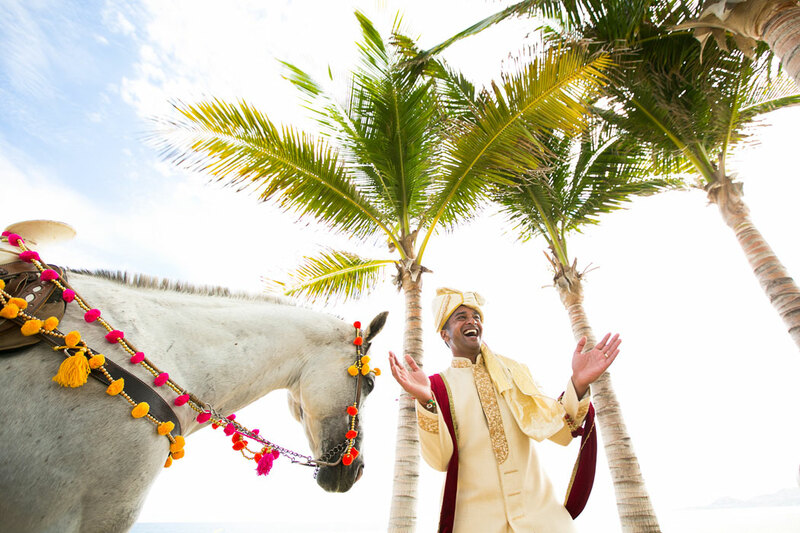 Imagine the drama of the groom arriving on a lavishly decorated prancing steed!